Designed in the blue and white colours of hosts Israel, the official ball for the UEFA European Under-21 Championship was unveiled during Wednesday's draw in Tel Aviv. 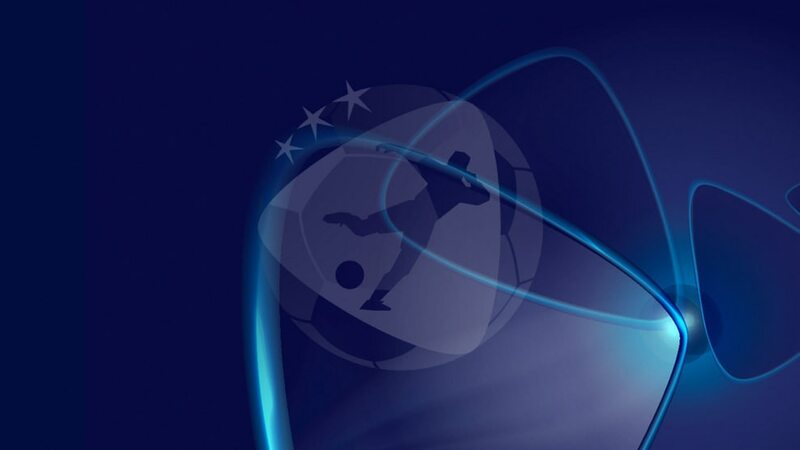 The official ball for the UEFA European Under-21 Championship was unveiled during the draw in Tel Aviv on Wednesday – and earned immediate praise as a "friendly ball" for players to use. That was the verdict of former Israel international and U21 finals ambassador Eli Ohana, speaking on the stage at the Tel Aviv Hilton, where the draw took place. Fittingly, the ball has the same blue and white colours as tournament hosts Israel and its design features the same thermally bonded triangular patterns as the adidas Tango 12, match ball of UEFA EURO 2012. Avi Nimni, the tournament's other ambassador and former Israel captain, added: "The ball is very light and easy to control, and I hope we will see a lot of goals in the tournament." adidas has produced the official ball for every major UEFA and FIFA tournament since 1970. Holders Spain will play the Netherlands, Russia and Germany while hosts Israel will face England, Norway and Italy after the draw for the Under-21 finals was made in Tel Aviv. "A great challenge" was Israel coach Guy Luzon's verdict on Group A, which pits the host country against previous winners England and Italy and surprise qualifiers Norway. Julen Lopetegui knows a "hard challenge" awaits holders Spain in Group B after they were drawn to face fellow recent winners Germany and the Netherlands as well as Russia. The official match ball of UEFA Women's EURO 2013 has been unveiled with manufacturer adidas acknowledging tournament hosts Sweden in the ball's innovative design.